Is Facebook Part of Your Mind? If the Internet is one of the basic cognitive resources we bring to bear on the everyday world, the websites we spend the most time on must be playing a proportionally large role in our everyday cognitive functions. So does Facebook constitute a cognitive system in its own right? Although we spend most of our lives in a state of consciousness, as soon as we subject it to more careful scrutiny we realize that we know very little about it—how does it actually happen? And how does conscious experience fit into our scientific picture of the world? On David Chalmers’s book Constructing the World (2012). How are all the various truths about the world related to each other? David Chalmers, famous for advocating a scientifically respectable form of brain-consciousness dualism, advocates a framework of scrutability: if one knew some set of base truths, then the rest would be knowable from them. On David Chalmers’s book Constructing the World (2012). How are all the various truths about the world related to each other? David Chalmers, famous for advocating a scientifically respectable form of brain-consciousness dualism, advocates a framework of scrutability: if one knew some set of base truths, then the rest would be knowable from them. Learn more. End song: “What You Want” by New People, from Might Get It Right (2013). Download the album. Excerpts of discussions about David Chalmers’s The Conscious Mind: In Search of a Fundamental Theory, Thomas Nagel’s Mind and Cosmos, and Paul Auster’s City of Glass. On The Conscious Mind: In Search of a Fundamental Theory (1997). Featuring Mark Linsenmayer, Alan Cook, Evan Gould, Russ Baker, Steve Lindsay, and Marilyn Lawrence. Recorded 11/17/12. He argues for a form of property dualism in which consciousness, or more likely something like “proto-consciousness” is best conceived as a fundamental feature of the world. 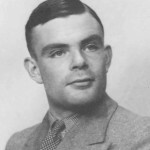 Discussing articles by Alan Turing, Gilbert Ryle, Thomas Nagel, John Searle, and Dan Dennett. What is this mind stuff, and how can it “be” the brain? Can computers think? What is it like to be a bat? With guest Marco Wise.